Subject: Will Uber Stock Debut in 2017? Uber stock is not yet traded publicly, but when the company holds an IPO, it will be one of the biggest financial stories of the year. Still, the company has remained quiet on any Uber IPO details. Right now, there's no Uber IPO date in sight. In fact, in an Oct. 19 interview with Vanity Fair, Uber CEO Travis Kalanick said not to expect the eventual Uber IPO any time soon. "It's the ninth grade," Kalanick said at the New Establishment Summit in San Francisco. "It's not time to go to prom yet." But undeniably, an Uber IPO will come around eventually. Uber is the company behind a location-based app for hiring a personal driver. Many find the app easier and more convenient than hailing a taxi. Users can hire a private driver to pick them up and take them to their destination with their smartphone. Drivers arrive in minutes. Uber has totally disrupted the way people around the world now get from one place to another. The company has 40 million monthly active paying riders. Drivers make between $1.5 billion and $2 billion in total each month. Roughly 20% of all Uber rides globally are booked with UberPool, the company's carpooling service. In the first six months of 2016, Uber said it completed 1 billion rides. That doubled its lifetime total to 2 billion since March 2009. Since its founding in 2009, the ride-hailing company has raised $8.71 billion in funding. The latest infusion of cash was reported in June. That's when Uber received $3.5 billion from Saudi Arabia's sovereign wealth fund. That funding helped push Uber's current market valuation to an astounding $68 billion. That makes Uber the world's most valuable private company. Kalanick continually says the company is investing in growth and expansion. 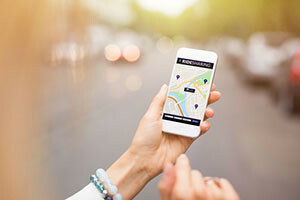 Uber's swelling market valuation, and the recent IPO filing from another prominent startup, has investors clamoring for news of an Uber IPO. Last week, Snap Inc. quietly filed paperwork for an IPO. Snap is the parent company of Snapchat, a mobile app that allows users to send videos and pictures that vanish after a few seconds of a person viewing them. Snap is expected to go public in Q1 2017 with a market value upwards of $25 billion. That would make it the biggest tech IPO since Alibaba Group Holding Ltd. (NYSE: BABA) debuted in 2014 with a $168 billion valuation. Kalanick wants to hold off on an Uber IPO as long as possible. He told CNBC earlier this year that he is going to make sure "it happens as late as possible." Zacks: Will Uber Be the Hottest IPO of 2017?